These are a peculiar type of bedform called a transverse aeolian ridge, or TAR for short, with a spacing of about 50 m (164 ft). 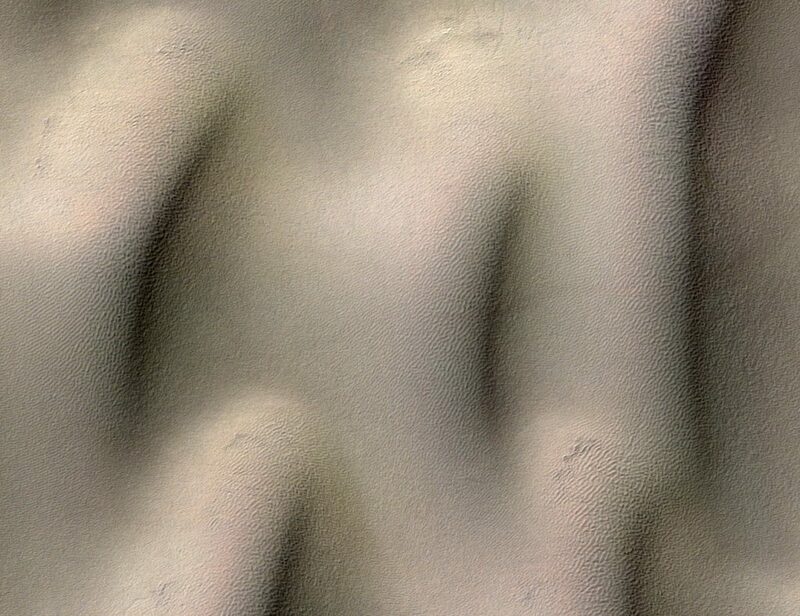 Nobody really understands these things: are they dunes or ripples or something totally different? 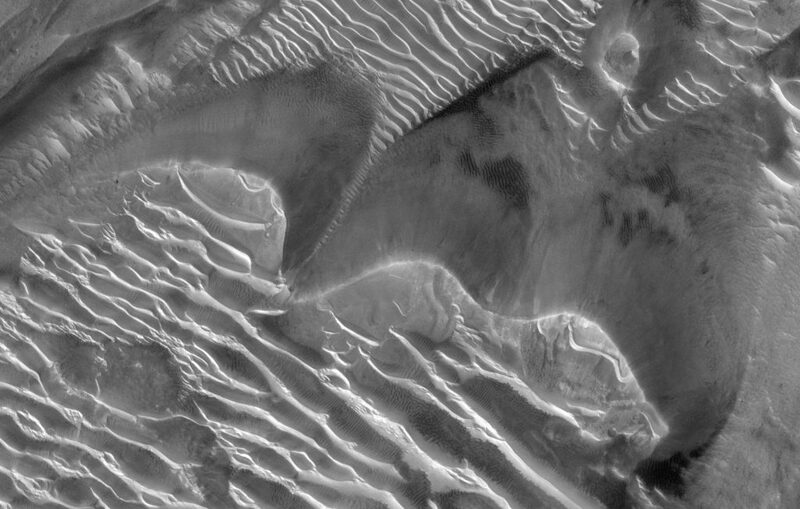 They’re common on Mars but unusual (maybe even nonexistent) on Earth. 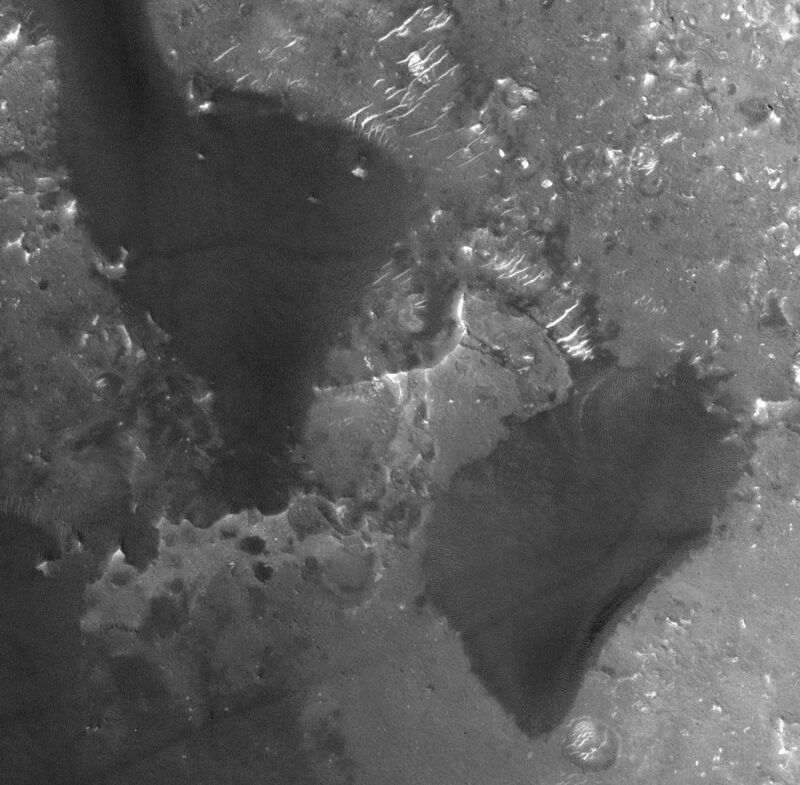 They’re also pretty dark-toned here, whereas on most of Mars they tend to be lighter than the surrounding rocks. 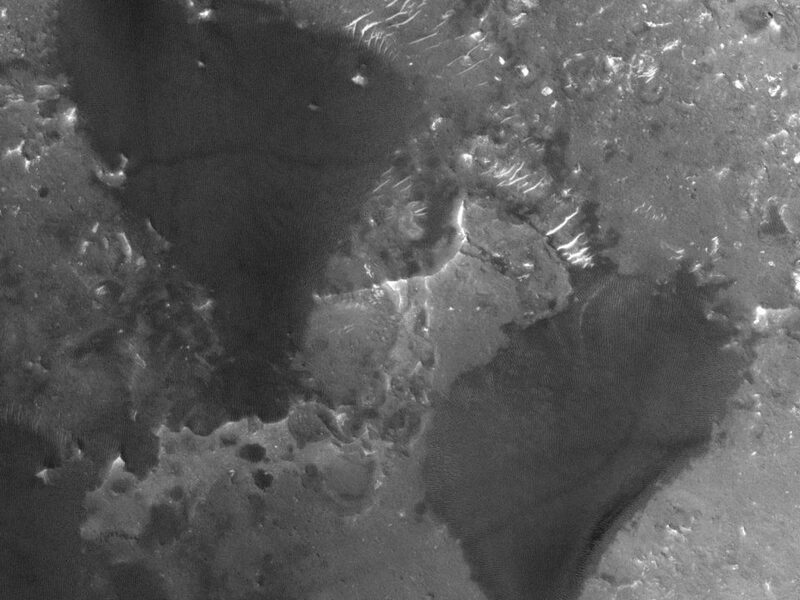 The TARs mostly cover the surface, but you can see bright bits poking through in places. You can see layers sweeping around – this is a place where stuff (either sediment or volcanic rock) was deposited in successive layers. It may then have been tilted or deformed, and then it was eroded away to expose the bright layers. All that happened before the TARs piled up on top of them. Extra points if you can find a couple of old eroded crater floors – that tells us that the surface here was probably higher than it is now, and it was eroded down to the current level. 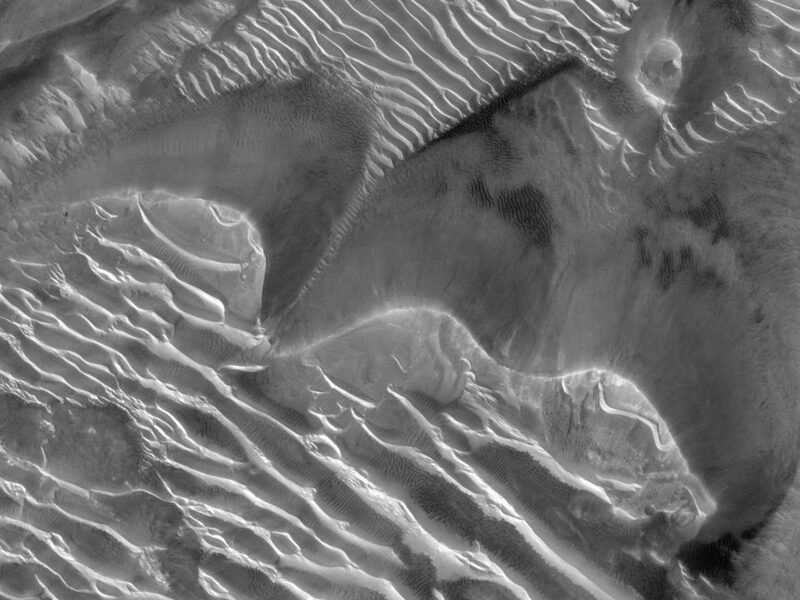 So, you know, it’s yet another crazy landscape on Mars. 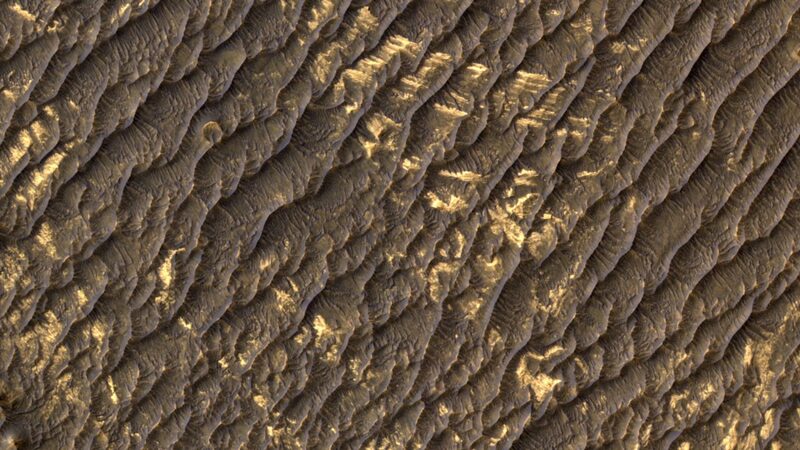 This would be even more compelling if this was formed by water.But i read it was wind that formed the ripples/dunes. Yep, it’s the wind. 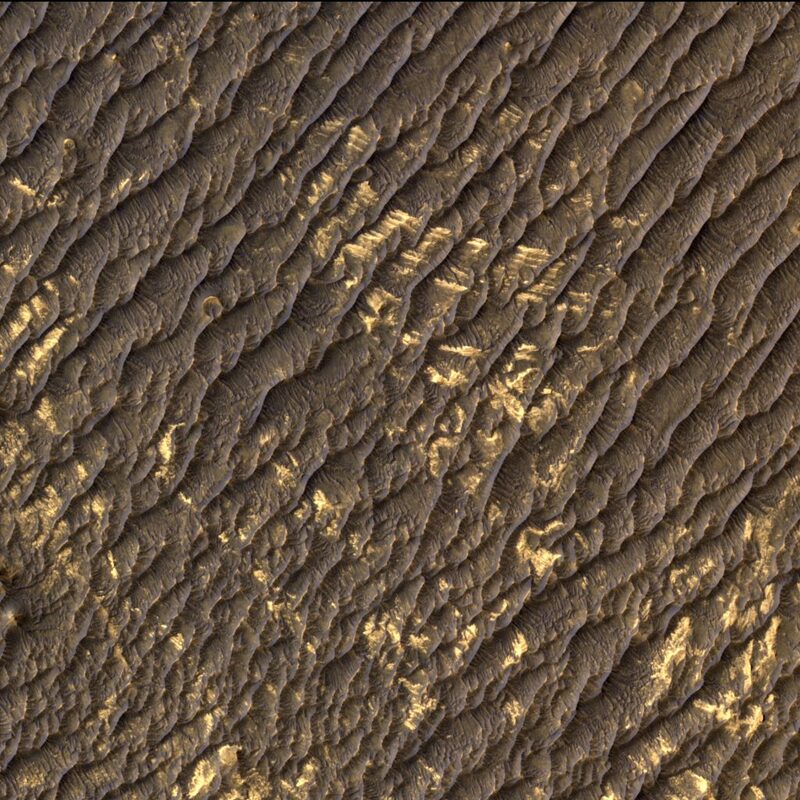 They’re not cratered, so they’re fairly young, and with very few exceptions there hasn’t been flowing water of this scale on Mars for several billion years. Also, features of this size formed underwater are typically not preserved so nicely – water tends to erode them as easily as build them, so you typically find them only partially preserved, deep in sedimentary rock strata. So this has to be the work of the wind.